Budapest, the capital city of Hungary, is among the most beautiful cities in Europe. 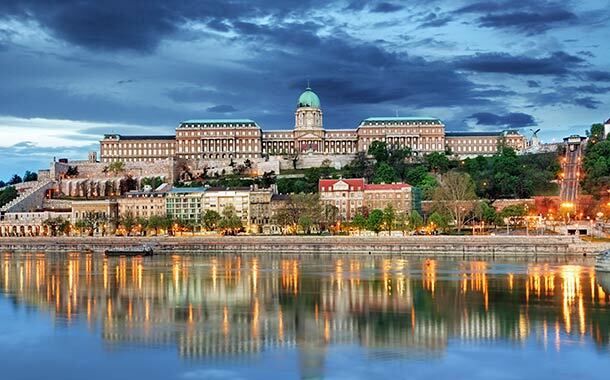 With its glimmering skyline across the Danube River, this city is referred to as the Pearl of Danube. Also, as Budapest is the largest city in the European Union, it is fondly known as the Heart of Europe as well. One simply cannot run out of stunning architecture to glare at while in Budapest. A city full of surprises and wonders, let us take a quick picturesque journey through Budapest. Located right at the end of Andrássy Avenue, Budapest’s main shopping street, and declared a UNESCO World Heritage Site, Heroes Square is one of the most visited sites in Budapest. This square is the largest and most impressive square in the city. 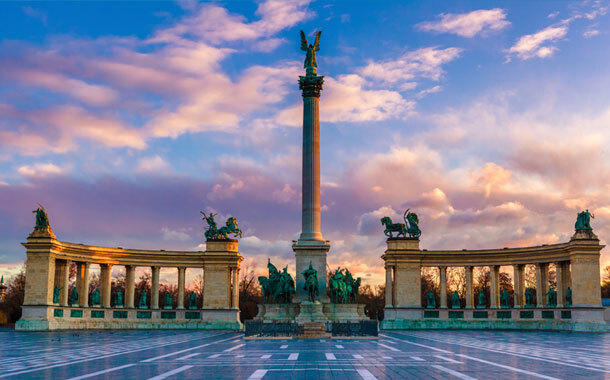 The square’s most prominent landmark is the Millennium Memorial, laid out in 1896 to commemorate the 1000-year anniversary of the arrival of the Magyar tribes to the region that is now Hungary. Built in the mid-1800s, the Chain Bridge was the first stone bridge built to connect the twin cities of Pest and Buda. Being the longest suspension bridge in Europe, it is the most popular bridge of the Hungarian capital and also deemed as the most beautiful. 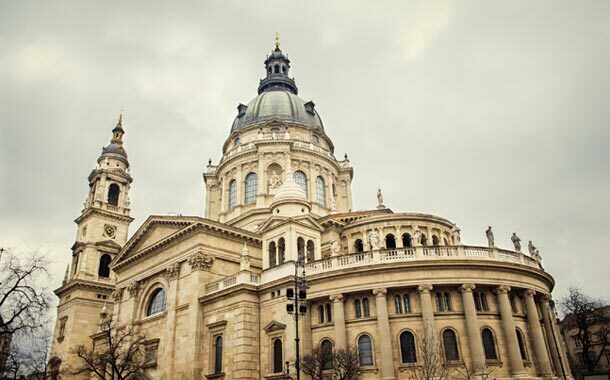 St. Stephen’s Basilica was built over a period of 50 years in the 1800s and now prides itself to be the largest church in Budapest. At 96 meters high, one can enjoy a 360-degree breath-taking panoramic view of the entire city from the top of the cathedral dome. The church overlooks St. Stephen’s Square, a fabulous place to sip coffee at open-air cafés. 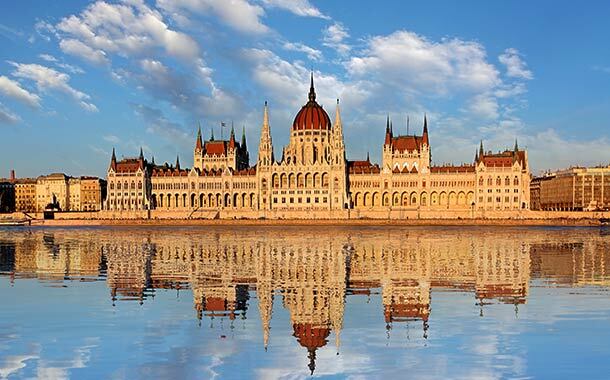 The House of the Nation, or Hungarian Parliament building, is the third largest parliament structure in the world. After taking nearly 20 years for construction, with mostly Hungarian materials, it opened in 1902. This house is home to the Hungarian Crown Jewels which were lost and stolen several times until they were eventually returned to Hungary under the presidency of Jimmy Carter in 1978. One can take a cruise on the Danube for the best views of the iconic building, as well as a tour of the building which is available for the tourists. 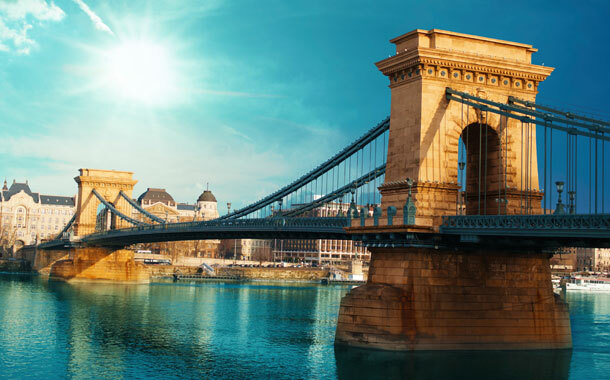 Several airlines are offering great deals on flights to the Hungarian capital, so don’t forget to check flights from Doha to Budapest now.